All swing dance styles are jazz dances and ‘swing’ referred to the style of Jazz music called Swing music. 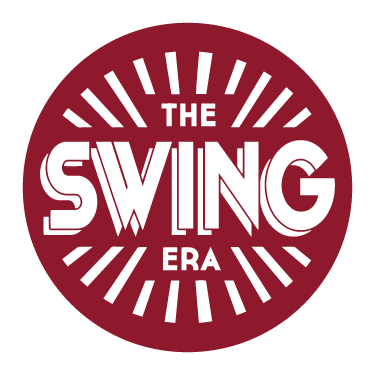 At The Swing Era we mainly dance Lindy Hop, which is one of the four swing dances (Lindy Hop, Balboa, Collegiate Shag and Charleston). Many talented dancers have influenced the development of Lindy Hop since its early start. In the early Savoy Ballroom days dancers like ‘Shorty’ George Snowden, Mattie Pernell, Big Bea, Leroy Stretch and Little Bea pioneered when Lindy Hop first emerged. Not long after its start a new wave of dancers including Norma Miller, Frankie Manning, Al Minns, Pepsi Bethel and Leon James took the dance to another level and introduced the iconic ‘air steps’ to the dance. In the 1930s Lindy Hop entered the mainstream culture and the dance really took off. Performance groups like the well known ‘Whitey’s Lindy Hoppers’ performed some iconic routines and also made their appearance in Hollywood films. Lindy Hop later spread across to different places in Europe, Canada, Australia and other Allied nations due to the American Troops involved in WW2. In the 1980s and 1990s a renewed interest in Lindy Hop was sparked by some amazing initiatives in California, New York, London and across Sweden to bring back the original lindy hoppers like Norma Miller, Frankie Manning and Al Minns from retirement. Old films were also reintroduced to learn about the dance, and mainstream films like ‘Swing Kids’ (1993) grew the renewed interest in Lindy Hop further. Today, Lindy Hop is danced across the globe, by dancers young and old. From local classes to big international festivals and competitions, Lindy Hop is back! Learn Shag in a Day!